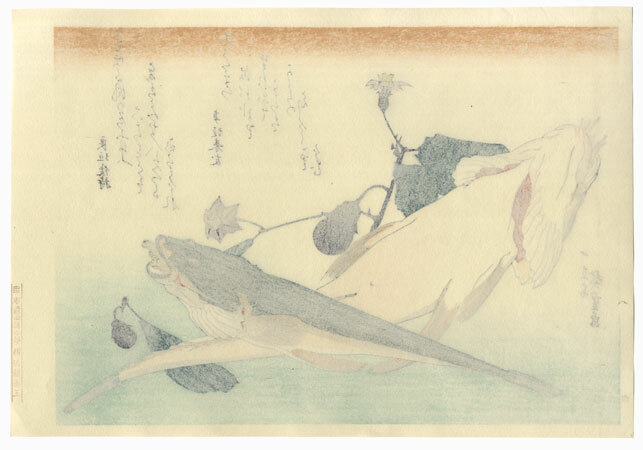 Grand Series of Fishes - In the 1830s, Hiroshige designed a series of twenty oban size woodblocks of fish, published in two sets of ten prints each, with the second set released around 1840. This untitled series, sometimes called the Grand Series of Fishes, fits into the genre of kacho-e (birds and flowers prints), which focuses on carefully observed birds, insects, fish, and flowers in natural habitats. Beautifully detailed varieties of fish and sea life are artfully arranged with grasses or plants against backgrounds with soft bokashi shading. 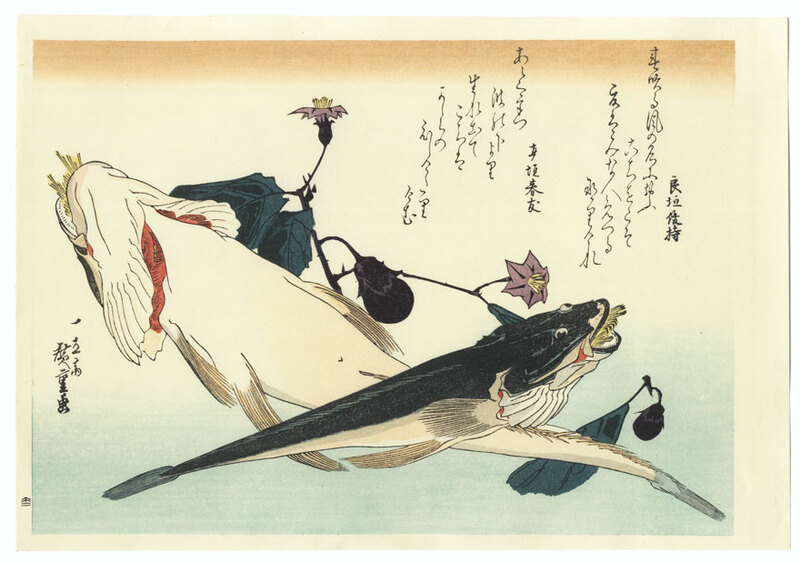 Originals from this series are somewhat rare, but a second edition printed from the original blocks appeared shortly after Hiroshige's death. 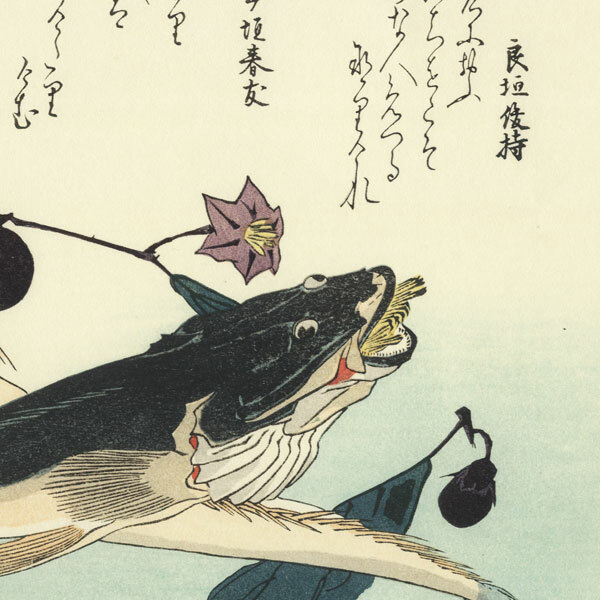 Two Flatheads and Eggplant - This beautiful, full size oban print and the others from this series reflect the Japanese passion for sea life. Published by the Yuyudo studio, these reprints are a great choice for a collector looking to add a unique print to a collection. They are rarely seen and this set is a great opportunity to select from this series. They also make terrific displays when framed or perhaps a nice choice for a restaurant with a focus on Japanese food. Great woodblock prints. Condition - In excellent condition with no issues to report.